If you are looking for information on the Slumberland Furniture franchise business opportunity, Slumberland mattress franchises or Slumberland franchising, then you have come to the right place. Slumberland stores are professionally decorated, featuring spot lighting, dramatic color and design treatment. Slumberland first opened as a mattress specialty shop in 1967. Since then, we have expanded our product mix and grown to 113 stores in 10 states, with store size ranging from 12,000 to 45,000 square feet. All stores are located in premium retail locations with exceptional visibility and strong demographic retail profiles. Slumberland stores are professionally decorated, featuring spot lighting and dramatic color and design treatment. Slumberland is a privately held company with 27 years of franchising experience. 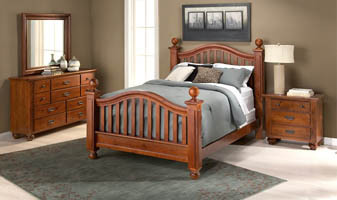 Our franchising strategy is unique, and a significant part of our growth strategy; we are the only full line/name brand furniture store in the United States that franchises. Our 113 stores include both company owned and franchise stores. The Slumberland approach is best defined by our brand position: we won't sell style without value and we won't sell value without style. Our commitment to providing furniture that "lives the way you do" allows us to focus on furnishing the rooms in the home where comfort and style are valued equally: the family/living room/den, casual dining/kitchen area and the master bedroom. We take pride in our strong partnerships with some of America's most trusted furniture brands: La-Z-Boy, Sealy, Simmons, Natuzzi leather and more. Furnishing the rooms where people really live means we concentrate on mattresses, upholstered (leather & fabric) sofas, reclining sofas, sleep sofas, master bedroom furniture, reclining chairs, casual dining, home office and home entertainment.